T he Special Education Department has worked diligently at using technology to empower students with special education learning needs. Technological resources enable learners to collaborate, learn, and demonstrate their learning. 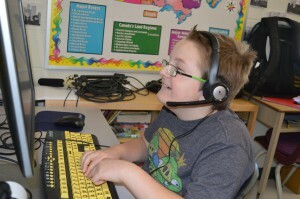 To help build knowledge, understanding and effective applications and strategies for using the assistive technology, the Special Education Department has created a website for educational assistants and teachers. 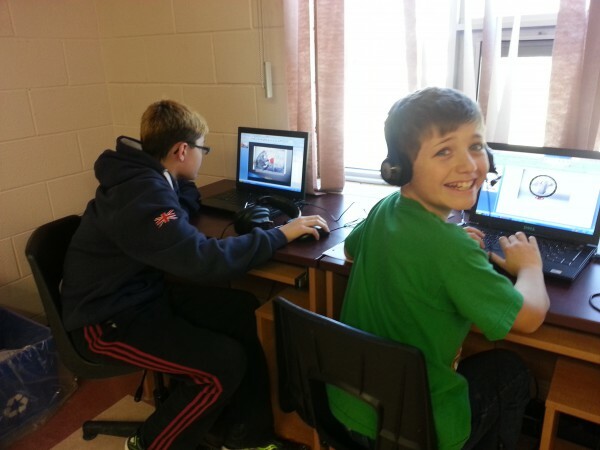 The website demonstrates exciting ways that technology is being used in CDSBEO classrooms, and ways technology enables students to experience success. Jameson Lee, Coordinator of Assistive Technology, presented an overview of the resources available to educators through the Assistive Technology website to the Board of Trustees, along with some examples of how technology is helping to support students. The well-developed site has three sections that provide training for staff to develop their expertise at different levels. It includes slides, text and videos to support staff and student development. The first section, Learning About Technology, highlights key features of various programs and applications available to students. The second section, Connecting With Technology, demonstrates how learning can be enhanced using visual, kinesthetic and auditory tools and approaches, while the third section, Empowering Through Technology provides a forum for sharing and collaboration for educators. “Through observation of the website statistics and page views, we are able to get a better idea of the multimedia resources that are most used, and then develop more of these types of resources. Instructional videos are the most useful, as they give step by step demonstrations, and teach educators how to use the apps in ways that are most useful to students. They are also learning how to combine different apps to improve outcomes,” explained Mr. Lee. A tiered learning model has been developed to help guide educators with the available technology. The website resources identify and categorize software and supports as being either beneficial for all, necessary for some, or essential for a few students in the classroom. The Tiered Model of Support is a student centred approach for understanding how technology tools empower students to become independent learners. By identifying student strengths, school teams are able to personalize assistive and adaptive technology supports for learning. “The specific software featured can be used to do a variety of things such as read text, write spoken words, organize thinking, magnify words, highlight and project images from several devices on the smart board simultaneously. Each of these tools support a different need which enhances engagement for a variety of students, depending on their individual learning needs,” noted Mr. Lee. All students benefit when technology is integrated into regular instruction through Universal Design for Learning approaches and Differentiated Instruction. Assistive Technology is necessary for some students who require additional scaffold supports. Adaptive Technology is required for learning by a few students because it enables opportunities to expand their engagement and independence. The apps give students the confidence to learn, to feel empowered, and also enable them to collaborate, and to enjoy learning. Truly transformational for students and educators, digital technology tools unlock the power and potential of learning.